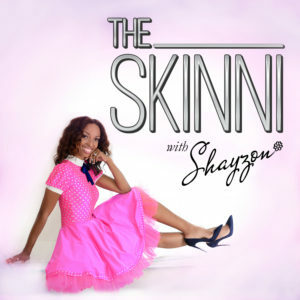 In this episode of “The SKINNI”, Fashion Stylist, Host, and TV personality Shayzon Prince gets personal about her experiences as a reality TV star and juggling motherhood. She speaks candidly with her friend Amber Coulter from their hit Bravo show “Mother Funders” about their experiences together on the show and juggling their personal lives off-screen. Thank you Shayzon and Amber for enlightening us about what really goes on behind the scenes of reality television. Being a mom is a wonderful thing and I thank God everyday for my little one.